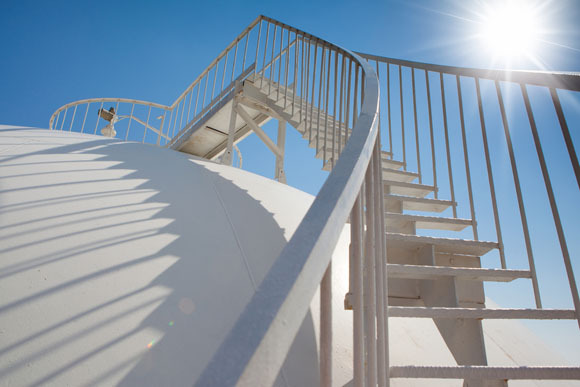 With crisis comes opportunity, as the saying goes, and Angelos Damaskos, principal adviser of the Junior Oils Trust, has capitalized on the panicked selloff of junior oil and gas companies to build positions in four promising names in Western Canada. In this interview with The Energy Report, he explains why oil prices could reach $75 per barrel in the near future, and why companies making good money now will make much more on the upswing, with great benefits to shareholders. In addition, he highlights two Australian companies with highly prospective projects. "Royal Dutch Shell Plc got BG at a very attractive price." TER: Elite opinion in Western Canada is strongly against new pipelines and energy export facilities. Is it possible these facilities could be prevented for political reasons? AD: We believe that economics will prevail eventually, and persuade the people and their legislatures to permit the infrastructure necessary to Western Canada's energy resources. Keep in mind that large-scale natural gas production is a relatively recent development in British Columbia (B.C. ), so it will take some time for the population to resolve the political issues engendered by this development. TER: How bad do you expect the Q1/15 earnings reports from the majors will be? AD: The latest reports across the board for major producers have reflected the sharp drop in oil prices. In a few cases, short-term hedging may have provided some insulation, but the reality of the scale of lost income is likely to be shown in the Q2/15 reports. TER: Will this lead to an increase in M&As? AD: The proposed takeover of BG Group Plc (BRGYY:OTCQX; BG:LSE) by Royal Dutch Shell Plc (RDS.A:NYSE; RDS.B:NYSE) illustrates the opportunity available to cash-rich companies. Shell, like other supermajor, integrated companies, has been suffering from declining reserve life and insufficient production replacement for years. Its 2014 reserves replacement ratio was 49%, of which only 17% came from exploration. Meanwhile, its 2014 reserves life index declined to 11 years from 12.3 years in 2013. TER: Do you believe that Shell's takeover of British Gas was a good decision? "The length of time oil trades below $75/bbl is a clue to how strong the recovery might be once a supply-demand balance is achieved." AD: In the present environment, it is cheaper to buy proven reserves than pursue expensive and risky exploration. British Gas carries substantial debt and had to take huge writedowns as a result of the price drop because many of its assets have been impaired. Nevertheless, BG offers Shell very large proven reserves and production in a global portfolio, as well as attractive development projects in emerging regions such as Australia and Brazil. Shell got BG at a very attractive price, and this deal sorts out its declining reserves problem. Shell also gains a much-larger global presence and will likely realize savings deriving from the elimination of duplicated functions. Shell expects the oil price to recover to $90/bbl by 2018. So the industry is fairly bullish on long-term oil prices, and we expect the pace of M&A to accelerate. TER: What do you make of the rumors of a possible takeover of BP Plc (BP:NYSE; BP:LSE)? AD: I don't think anyone would be interested in taking over BP, frankly. This company still suffers from a huge overhang from the Macondo disaster in the Gulf of Mexico, with the potential of a huge liability settlement with U.S. authorities. BP also has large exposure in Russia with its TNK joint venture, which, given the sanctions against that country, would preclude any majors touching BP. In any event, there are far more attractive targets than BP. TER: You have said your investment philosophy in energy is based on the idea that "smaller oil and gas exploration and production (E&P) companies tend to outperform their larger counterparts." Can we expect these smaller companies to do even better vis-à-vis the larger companies in the near future? AD: Generally, smaller oil E&Ps can outperform on the upside. They can, however, also underperform in a bear market, with small caps dropping by more than 50% in the last six to nine months. It is well understood that when oil markets are in a crisis, investors tend to sell the smaller caps first. These selloffs have historically produced great buying opportunities. The majors have suffered less due to their diversification in storage, transportation, refining and retail operations, but they will also be less responsive when prices rise. As oil prices recover, the recoveries in small caps could be startling, but investors must exercise extreme caution, as not all boats will rise with the tide. TER: What are the attributes of bargain energy juniors? AD: The main attribute of an energy junior is that it is primarily E&P-focused. The full spectrum of its operations is focused on buying acreage, proving up, and producing oil and gas. That gives the junior much higher operational leverage to the oil price. For instance, a junior U.S. E&P with a $45/bbl marginal cost of production now makes about $8–9/bbl in profit. So if oil rises to $65/bbl, its profitability more than doubles. 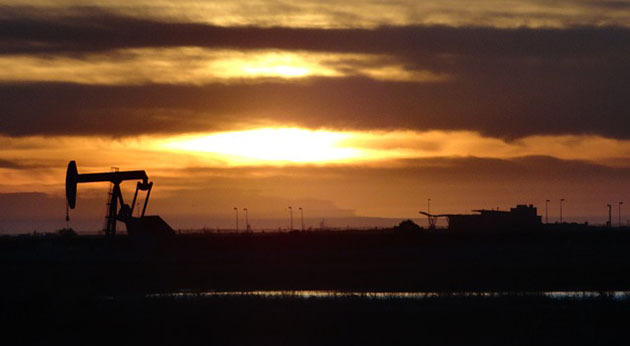 "The minute oil prices recover to $70–75/bbl, shale drilling will recommence." Unfortunately, leverage can be manifested financially as well. E&Ps reliant on the public market for funding are likely to suffer for long periods in this environment. Investors will be unwilling to pay for risky exploration given the apparent oversupply, even if it is understood to be short-term. Over-indebted operations will be forced to battle with bondholders and bankers, in the meantime paying high fees and costs that could have very detrimental effects on their operations. TER: Many of the juniors hammered by the markets in the last six to nine months boasted low costs of production, healthy margins and good management. Will such companies need to wait for oil to reach $75/bbl before their shares recover? AD: Investors tend to sell indiscriminately in times of panic. However, as we have seen oil prices rebound in the last three months by 20% or so from January's lows, some of the better small caps have seen their share prices double. 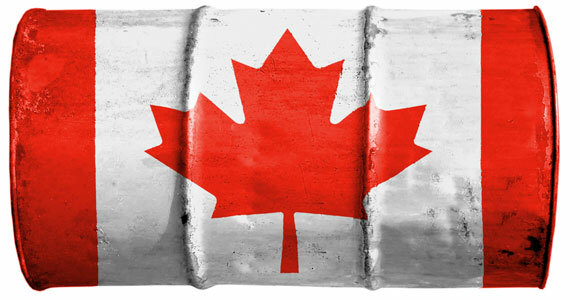 TER: How has the weak Canadian dollar affected Canadian oil and gas producers? AD: It has been a bonus to domestic producers. The Canadian dollar has depreciated 22% against the U.S. dollar since 2012. This has reduced labor and other supply costs for producers and increased the value of U.S. dollar-denominated sales. More important is that the oil-price collapse has resulted in a great deal of idle capacity in drilling and other service companies. As exploration and drilling have fallen dramatically, service providers have been compelled to lower prices. Drilling costs have decreased by 25% as a result, and could fall a lot further. TER: Will Canadian producers benefit from the "dollar discount" long-term? AD: We strongly believe that the Canadian dollar has been oversold. Global investors have preferred U.S. dollar assets because of the perceived security and safety of the U.S. economy. However, the multitrillion-dollar debt that the Fed carries on its balance sheet is unlikely to ever be repaid given the U.S.' current and projected economic growth rates. As a result, the Fed is likely to favor depreciation of the U.S. dollar. In addition, the Canadian dollar historically has been closely correlated to the oil price because the Canadian economy is so reliant on oil exports. Therefore, an oil price recovery should strengthen the Canadian dollar. TER: Let's get into specifics. Which are your favorite Alberta oil and gas juniors? AD: We have taken advantage of recent weak equity values to strategically deploy cash reserves in our portfolios. One of our latest and largest holdings is in Yangarra Resources Ltd. (YGR:TSX.V), which operates in the Cardium, one of Western Canada's most economic oil regions. The company recently announced a 114% increase in its 2014 reserves while keeping finding and development costs of developed producing reserves at $26.36/bbl, with a recycling ratio of 1.6 times. Its 2014 production/replacement ratio was 179%, while its Proven and Probable reserves life index increased to 34 years. These are exceptional results. Companies such as Yangarra are not only able to survive in a low-price environment—they also have long-term viability and the long-term potential, if prices recover, to grow production dramatically over the next couple of years. TER: Yangarra announced a $20 million ($20M) bought-deal financing on April 28. How strong is its balance sheet? AD: This is a prudent company. It has low debt, but it likes to boost its reserves. Its share price is up 100% since January. It took advantage of this recovery to raise some equity to have more firepower to do deals. It is best positioned in its territory to consolidate and buy weaker competitors, enhancing its acreage position and making it even better positioned to grow reserves and production when oil prices increase. In this environment, the best approach is to raise equity rather than debt. TER: Which other Alberta juniors has the Junior Oils Trust invested in? AD: Two. The first is RMP Energy Inc. (RMP:TSX), which produces approximately 44% oil/56% gas in west-central Alberta. Even though it has cut its capex program by half, RMP still expects to grow its production by 10–20% in 2015. Like Yangarra, it has little debt, and its debt-to-cash flow ratio is well under 1:1, meaning it could pay debt back in less than a year. It expects to generate 2015 free cash flow of more than $100M at $50/bbl. RMP is another company that will live to prosper when the price of oil recovers. TER: RMP shares lost 50% of their value from February to March, falling from $5.50 to $2.75/share. Shares have since risen to about $3. Is this a company that must await oil rising to $70-75/bbl for its share price to recover? AD: Some companies become more attractive to investors at different times. 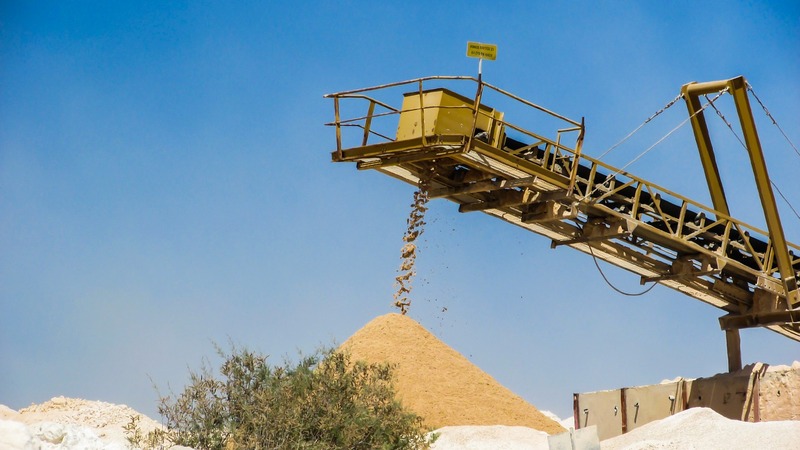 Once RMP further confirms its position with the publication of its quarterly reports, investors will realize that the company offers extremely attractive fundamentals compared to its low gearing and its growth in reserves, despite a capex cut. "As oil prices recover, the recoveries in small caps could be startling, but investors must exercise extreme caution." What we like about companies such as RMP is that they are sensible. They trim capex very quickly to adjust to their free cash-flow-generating capacity, and will not overspend just to increase revenues. RMP wants to make profits and increase its value for the benefit of its shareholders. It will wait until the oil price recovers before increasing capex. This goes back to the point I made earlier about the remarkable operational flexibility of the North American shale oil industry. TER: And the third Alberta junior you've invested in is? AD: Tamarack Valley Energy Ltd. (TVE:TSX.V). Even though it carries more debt than Yangarra and RMP at two times forecast cash flow, it has recently made some very attractive acreage deals that should expand its reserves dramatically. It has a reputation for very tight cost control and some of the most productive wells in the Wilson Creek region. This is another company that stands to benefit as the oil price recovers. TER: Tamarack announced a 78% increase to reserves and record Q4/14 production on March 12. How big could it become? AD: The company has a huge acreage position, so it's a matter of how much capex it can mobilize and in what manner. This is another sensible company that didn't leverage operations too quickly based on what turned out to be overly optimistic projections of the short-term oil price. TER: Tamarack is on track to reduce its net debt to less than $118M by the end of Q2/15. Does that lessen your concern about its balance sheet? AD: Because this company has done some recent deals to greatly expand its acreage, we think its bankers will be pretty relaxed concerning loan coverage issues. Tamarack is in a secure position going forward. TER: Which B.C. natural gas junior do you like? 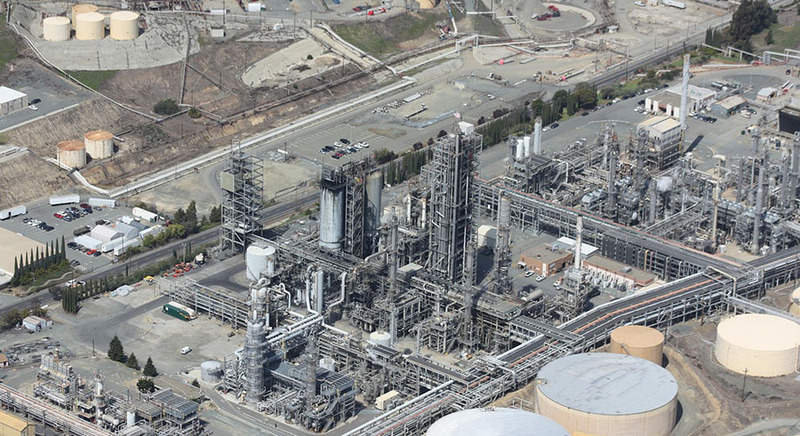 AD: Despite low natural gas prices, a few companies have managed to thrive regardless. Our favorite is Painted Pony Petroleum Ltd. (PPY.A:TSX.V), which operates in the Montney Formation in northeast B.C. It announced in March that it has increased its reserves by 68% to 2.9 trillion cubic feet equivalent with a recycling ratio of 5.1 times. This is an enormous base on which to build production. As mentioned above, a typical hurdle for B.C. shale gas producers has been infrastructure. They need processing plants and pipelines to help bring production to market and build cash flow. Painted Pony has recently consolidated its position in this regard with a very large processing plant deal to be completed this year. This will increase its production and access to market and grow its cash flow. This company's balance sheet is very strong and is thus able to support successful growth. Furthermore, we believe that Painted Pony's acreage position and its resource base make it a very attractive takeover target. It is quite viable even at low gas prices, and presents many other attributes of attractive valuation that could deliver much higher value to shareholders. TER: Are there any other companies in your portfolio you could mention? AD: Two of our larger earlier-stage holdings are FAR Ltd. (FAR:ASX) and Carnarvon Petroleum Ltd. (CVN:ASX). Both companies are listed in Australia. They have been fortunate enough to have made extensive oil discoveries last year, opening up new districts with great potential. In both cases, their farm-in partners have confirmed plans for follow-on drilling to prove up the resource of their finds, and early indications are quite positive. With the dearth of E&P funding caused by the low oil price, some positions are very advantageous because the budgets of even the major integrated companies are directed to the lowest-risk and higher-reward projects. Both companies probably have many years to go before they ever deliver oil to the market, but as their partners continue drilling and proving up resource size, their valuations will likely rise by comparable amounts. TER: When I spoke to you last, you noted that Carnarvon was trying to divest its Thailand operations. Has there been any movement on that front? AD: Those operations have been divested, and Carnarvon has been paid. As a result, the company now has in excess of AU$100M in cash compared to its market cap of about AU$124M. It can easily fund its share of future development drilling of its offshore Australia assets, and it is also carried for up to $75M in drilling by its partner, Apache Corp. (APA:NYSE), whose Australian operations were recently taken over by a private equity consortium. In addition to the cash generated by the Thailand sale, the company has retained a 20% royalty and will receive cash flow from this growing asset for years to come. It also holds several very attractive and highly prospective exploration assets that it is negotiating with other parties to drill. TER: FAR has properties in both West and East Africa. How has it advanced them? AD: As you can imagine, farm-in deals in this price environment are rare and difficult. So we can, for the time being, discount FAR's East African assets in Kenya. The jewel in this company's crown is in Senegal, where its partners, Cairn Energy Plc (CNE:LSE) and ConocoPhillips (COP:NYSE), have found a potentially extremely attractive new oil region. 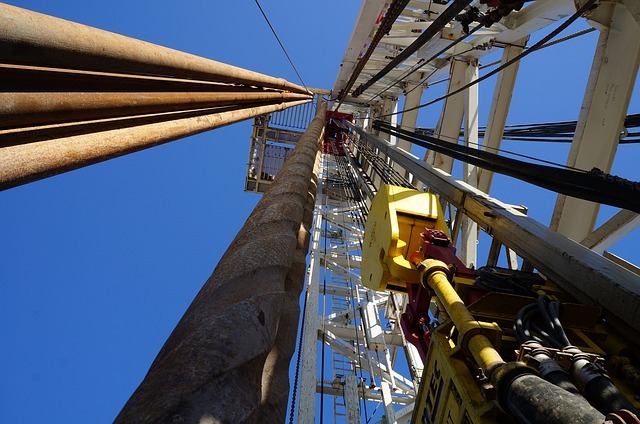 Cairn, which is cash-rich and exploration-hungry, has confirmed its intention to drill another two holes and is currently mobilizing the rigs. As it moves forward with this program, we might see a share price appreciation in anticipation of good drilling results. Typically, with such a frontier find, petroleum engineers tend to err on the side of caution, so the probability is heavily skewed on an increase of potential reserves rather than a decrease. TER: A final word: What is your advice for energy investors? AD: They should invest in top-tier management teams at an attractive valuation with good potential to grow, even at lower prices, based on solid balance sheets. Should oil prices rise faster, these companies will also be best placed to benefit, as well as consolidate with other participants in their regions. Investors should avoid overleveraged and oversold operations even though they might seem potentially undervalued. Many companies have fallen 90% or more from their highs because of their great indebtedness. These look tempting, but they could be the classic value trap, where you buy into a potential recovery that never occurs because the fees and expenses associated with deleveraging force these companies to their knees. TER: Angelos, thank you for your time and insights. Angelos Damaskos is the founder and CEO of Sector Investment Managers Ltd. of London, a regulated investment advisory company. He is the principal adviser of the Junior Oils Trust and the Junior Gold Fund. The Junior Oils Trust focuses its investments in smaller oil and gas exploration and production companies. An investment banker, Damaskos worked a decade for the European Bank for Reconstruction and Development. He holds a bachelor's degree in mechanical engineering from the University of Glasgow and a master's degree in business administration from the University of Sheffield. 3) Angelos Damaskos: I own, or my family owns, shares of the following companies mentioned in this interview: None. I personally am, or my family is, paid by the following companies mentioned in this interview: None. My company has a financial relationship with the following companies mentioned in this interview: None. My Junior Oils Trusts holds shares in Carnarvon Petroleum Ltd., FAR Ltd., Painted Pony Petroleum Ltd., RMP Energy Inc., Tamarack Valley Energy Ltd. and Yangarra Resources Ltd. I was not paid by Streetwise Reports for participating in this interview. Comments and opinions expressed are my own comments and opinions. I determined and had final say over which companies would be included in the interview based on my research, understanding of the sector and interview theme. I had the opportunity to review the interview for accuracy as of the date of the interview and am responsible for the content of the interview.